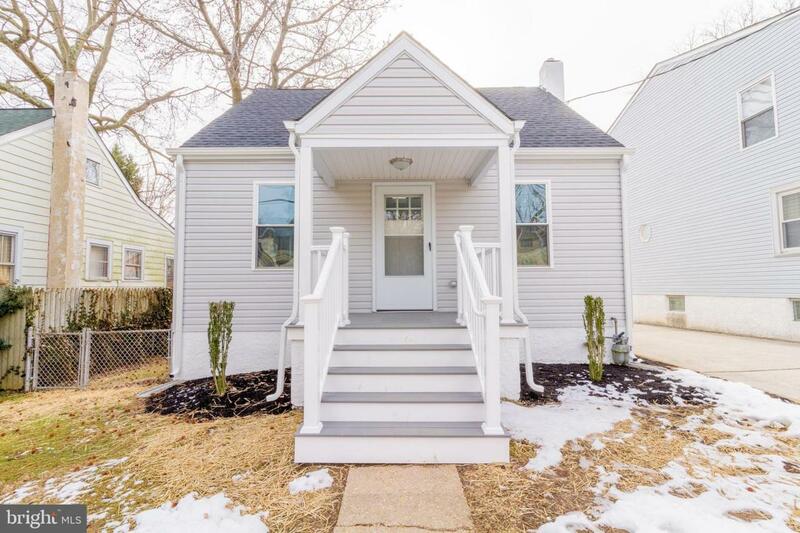 Nestled on a quiet street is this 3-bedroom, 2.5- bathroom professionally renovated cape cod. Enter into the open living space flooded with natural light and bursting with character. 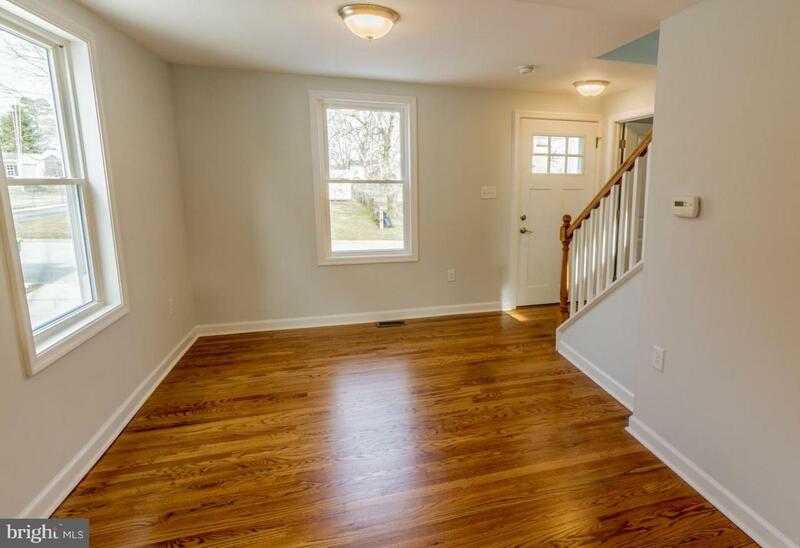 Gorgeous, refinished natural-oak hardwood floors run throughout the entirety of the first floor. The open-concept main level centers around the kitchen as the heart of the home, wide open to the dining room in the front and to the family room behind. The kitchen is brand-new from top to bottom with gorgeous granite, stainless steel appliances and tile backsplash. It also features beautiful white shaker cabinets and extra seating at the oversized breakfast bar. The owners bedroom is situated on the main level for one floor living. Featuring gorgeous hardwood floors and a large walk-in closet, it also offers a stunningly renovated en-suite bathroom with custom finishes and a standalone shower. 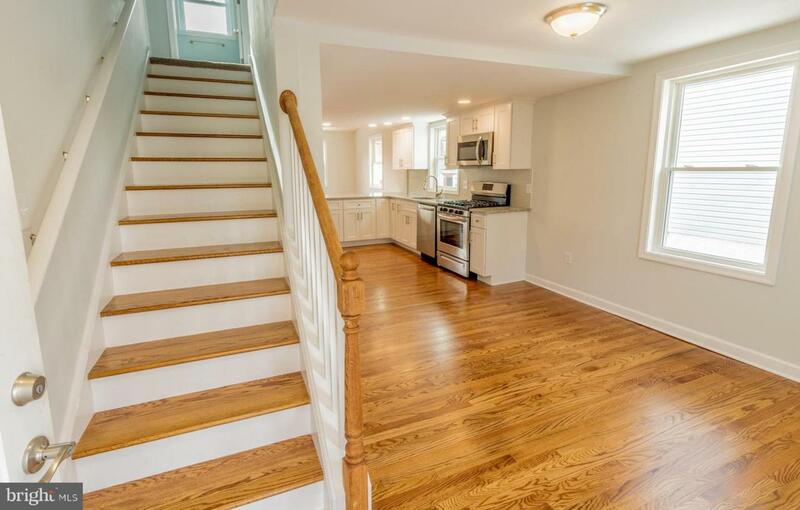 Travel to the second floor up the gorgeous exposed staircase to find the other two bedrooms. Both feature new carpeting, ceiling fans and large walk-in closets. The upstairs bathroom is completely brand new and features a shower with tub and a gorgeous tile surround. This complete renovation doesn~t stop at the surface level. No detail was left untouched in this remodel, inside or out. 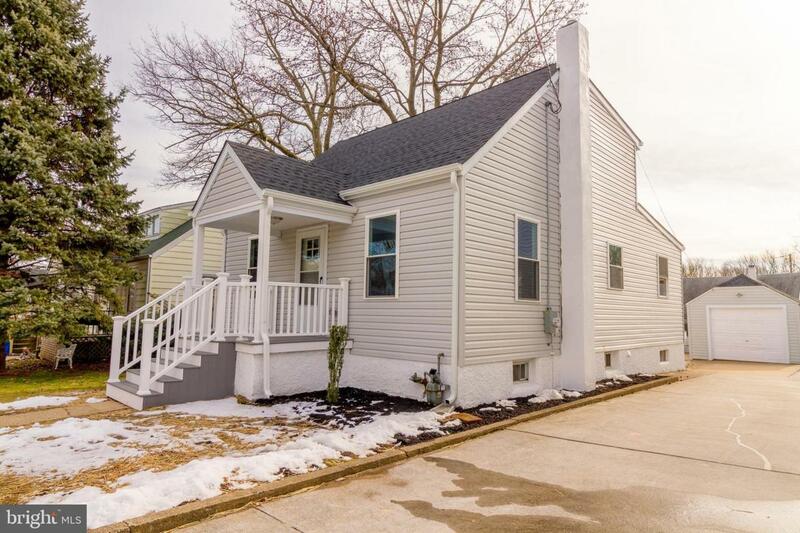 The major systems in this home have all been overhauled with a new high-efficiency gas HVAC, new water heater, new 200 AMP electrical wiring and panel, totally new plumbing, new vinyl windows, new siding and a brand-new roof. This home boasts a full walk up basement that has been freshly painted and offers an abundance of extra storage as well as a laundry area. Enjoy the quiet outdoor area with a spacious new trex deck and your fenced-in back yard. The detached garage also has a new roofing & siding to match the house. This totally remodeled home offers plenty of charm, custom features and the perfect location. Schedule your private showing today!